We’ve all been there. You’re on vacation, even just a day drive, and everyone else is having a grand ol’ time enjoying the scenery while you are stuck behind the wheel, afraid to take anything except glimpses from the road for fear of driving off a cliff face. So, everyone else ends up oo-ing and aah-ing, while you are left with only the pavement and yellow lines. Or, what about driving through an area completely new to you and despite the group’s best efforts at using GPS, there are still wrong turns made, much anxiety, arguments, and loud voices. Worse yet, you don’t have phone reception or your phone is dead, so GPS isn’t even a possibility. Vacation killer. What is the solution? A private driver. Now, I know what many of you may be thinking. Chauffeur? That’s only for people who can travel with endless amounts of money in their bank accounts. Or, I don’t want a stranger driving around with my group, sharing my vacation with me. So, I have taken it upon myself to try to convince you that a private driver is not only feasible for your group to consider on your next vacation, but is also perhaps the best choice for much of your trip. If your plan is to go to Italy then even better, because I’m using that amazing country as an example for convincing you. This is something that if you are going to another country and wish to drive yourself, you will need. Now, I understand the desire to drive with just your own group of friends through the countryside, but at the same time who wants to go through the paperwork hassle of getting a Drivers Permit that will allow you to do so? On top of that, if only one of you were to get the permit then only one of your group would be the designated driver for the WHOLE trip. Pretty unfortunate for that one friend. Hiring a driver would get rid of this necessity and would allow that one friend to now be part of the happy group. As mentioned, this is no fun. (Well, some people may consider getting lost in a strange place as part of the adventure, but I would be pretty confident in saying that most of us don’t consider it that way. At least, not multiple times in one trip.) And let me tell you, not only can driving in Italian cities be stressful as all get out, getting lost can compound that to make one big headache of a day. Save yourself the stress and the likely disagreements with fellow travel companions. Get the driver. What is the point of a vacation? To have a break from the normalcy of your life, to get out, to find yourself, to find cities and sights new to you, and to see the beauty of nature (the scenery). I would make an argument that it just isn’t as possible to do these things from behind the wheel of a car, even if it is an Italian one. We are constantly missing some of the best sights because of speeding along, looking at the road, and watching out for potential crazy drivers. Do yourself a favor. Let someone you pay to drive, drive. One of the best things about Italy is their vineyards. Now, as we discussed before (See: International Drivers Permit), it’s just not as nice to have one of your friends miss out on some of the joy because they are your “Designated Driver”, whether because he is the only one with a Permit, or because he is the only one in the group who didn’t get to taste the wine. What? We’re on vacation. Share the joy. Hire a driver. While you aren’t walking or driving, you are very likely to be taking the train. Depending on how many times you do this during your trip (and how heavy a packer you are), hauling your luggage around can get extremely troublesome. But, when you hire a driver to meet you at the train station, voila!, he will appear like a savior for your troubled back. You may be wondering now, is this driver something like a taxi service, someone to take you from point A to point B and then leave you in the dust? Actually, no. A hired private driver is someone who can work with your travel schedule, accommodating to where you want to go, when you want to go there, how long you want to say, etc. He will be there for you when you’re ready to continue on. Some even double as travel guides, ready to give you interesting info about wherever you are. This is possibly one of the most worrisome of subjects for travelers. Cost. But, you need not worry. A private driver is not something just for those with gold-lined pockets. It is completely feasible for those among us of more modest means. Especially if you have a group of friends with you, let’s say 3-6 total, the rate can become very reasonable indeed! So, no excuses! Now that we have discussed all of the reasons that we all need to hire a private driver for our next trip (especially our trip to The Boot), let’s talk briefly about some of the routes and places you will definitely want him around for. We mentioned this breathtaking stretch of coastline in our article here and for good reason. What we didn’t mention in that article is that having a driver is a must. Not only does the road get pretty crowded during tourist season (hello stress), but the cliff sides offer some amazing scenery, and amazing opportunities to not see the scenery for fear of driving off. Driver, please. 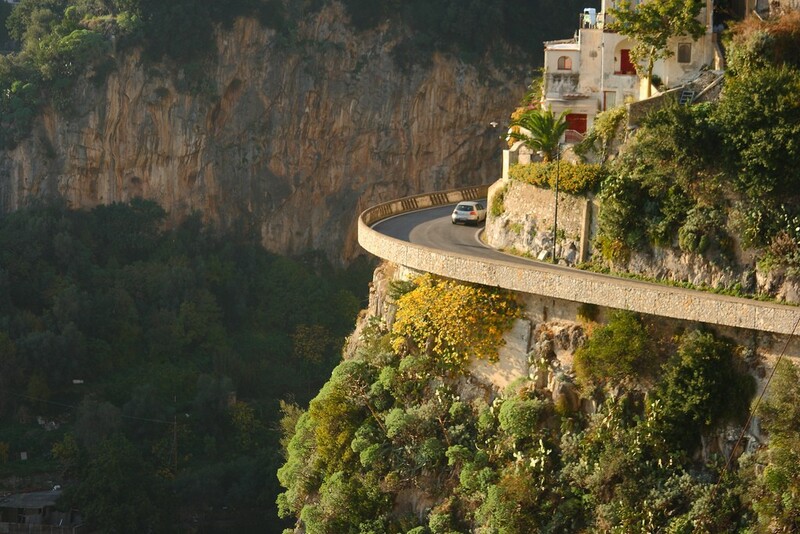 Once you are done in the beautiful coastal area of Sorrento and Amalfi, have your driver take you through the country past Pompeii, Naples and onto Rome; where more sights are to be seen and possibly some scary city driving is to be done. Also mentioned in our other article, this is where we find some of the most picturesque regions of all Italy. Driving through the quaint towns, and stopping off at some of the best wine tasting spots in the world, how could you give any of it credit without someone to drive you around? You couldn’t. Hopefully now that you are convinced that you do need a private driver for your vacation to Italy, you will let us handle it for you! Trying to find a good driver in another country, one that will work with you and be worth the money, could be yet another stressful thing to add to your trip. We don’t want that! 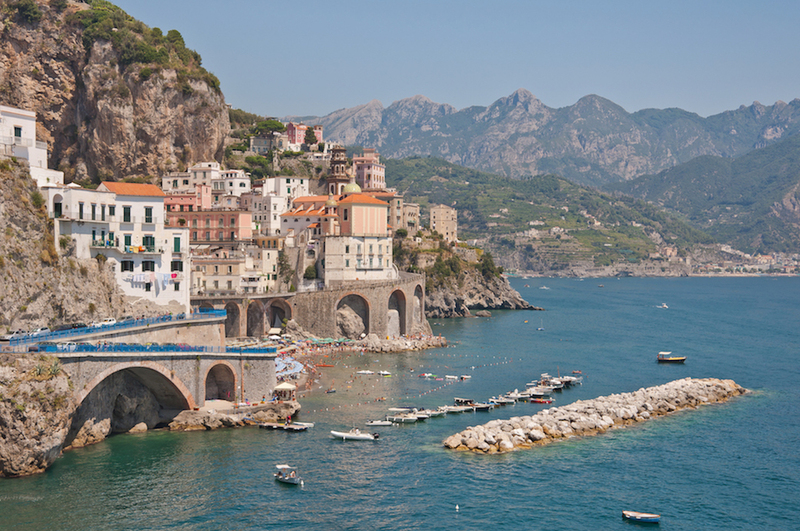 With us to plan your next trip to Italy, we hope that it will be the best and most stress free vacation ever. Contact us today, and have an adventure! Written by a travel agent: Download a sample Italy Itinerary now! P.S. – The dates shown on the itinerary are just an example. Trips are totally customizable to each particular client.